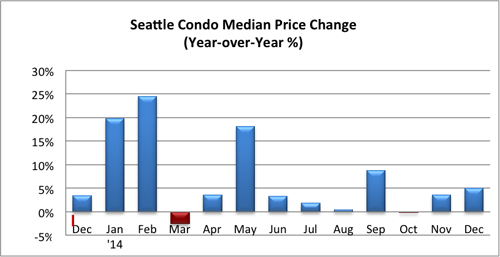 The Seattle condo market saw a modest 2.7% increase in the median price in December, rising to $320,000, compared to the prior year. As expected during the close of the year, the number of active listings, pending sales and closed transactions fell last month. 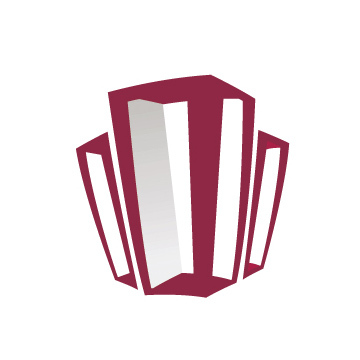 There were only 174 pending transactions in December, the fewest over the past 24 months, no doubt arising from buyer concerns over the economy, a softening housing market and the mortgage situation. 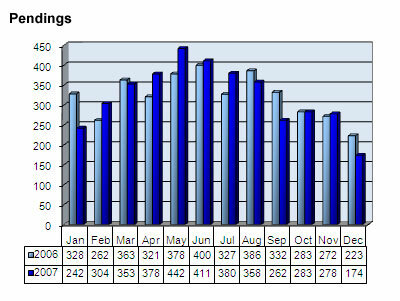 The total number of active listings decreased 19.1% in December compared to November, though the 1,128 listings reflect an 83.1% increase over December 2006. 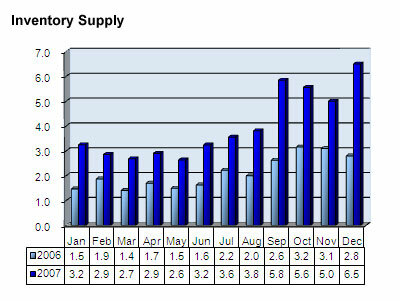 The surprising figure last month was the jump in the Inventory Supply rate to 6.5 months. 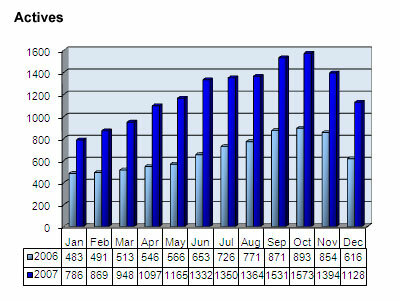 The condo supply rate hasn’t been above 6 months since early 2003. 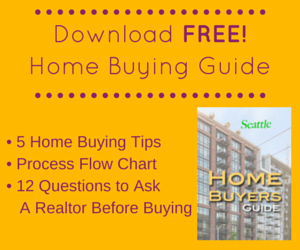 Good news for buyers, not such much for sellers. 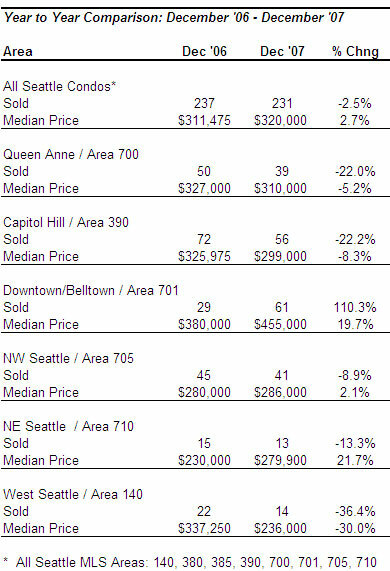 Compared to December 2006, downtown and Northeast Seattle performed well realizing solid double digit increases in median price. Downtown also benefited from a jump in new construction closings which offset sharp declines in other neighborhoods. 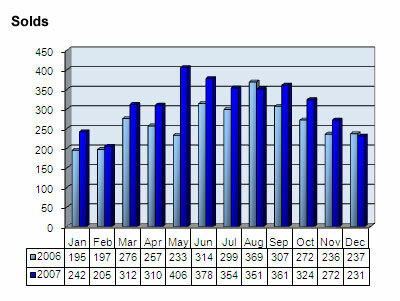 Citywide, the number of closed sales dropped 2.5% from the same period last year while pending sales were down 21.9%. Any idea how many of the houses off-market on Dec 31 were taken off market vs. sold? 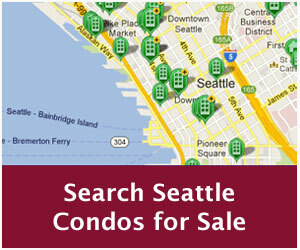 I noticed several condos off market but not listed as sold. I am hoping several of them in the Lower Queen Anne area come back on the market as I was interested but not able to finalize the mortgage in time to shop. Any ideas why west seattle is getting killed so badly? 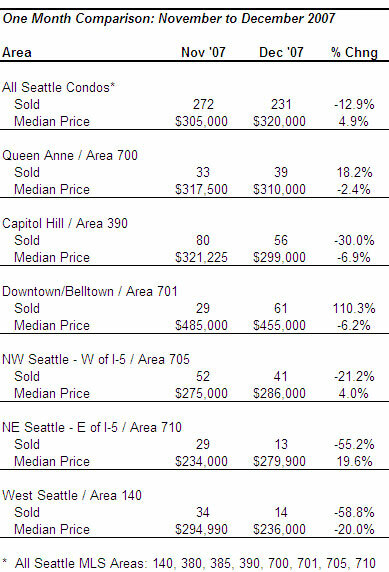 Queen anne is also really interesting oct 07 – $339k median, nov 07 – $317 median, dec 07 – $310 median. 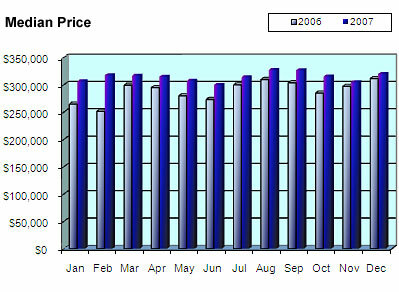 Also first year over year comparison with a price decrease (Nov06-Nov07 +12% and Dec06-Dec07 -5.2%). You have to admit this market is looking shaky.